You can find POOP 911 Knoxville servicing pet owners in and around the following Cities: Alcoa, Andersonville, Briceville, Clinton, Concord, Concord Farr, Corryton, Devonia, Emory Gap, Farragut, Fountain City, Friendsville, Greenback, Happy Valley, Harriman, Heiskell, Karns, Kimberlin Heights, Kingston, Knox, Knoxville, Kville, Lake City, Lenoir City, Loudon, Louisville, Maryville, Mascot, Midtown, Norris, Oak Ridge, Oliver Springs, Ozone, Philadelphia, Plaza Tower, Powell, Rockford, Rockwood, Tallassee, Townsend, Walland, and Westel, Tennessee. POOP 911 Knoxville is now servicing dog and cat pet owners throughout the counties of Blout, Anderson, Knox, Roane, and Loudon counties in Tennessee. We are a locally owned and operated poop scooping company. 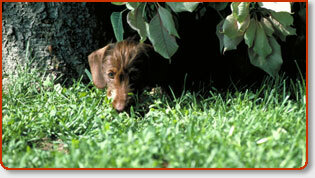 We specialize in taking the dirty work out of owning a dog or cat. We love our pets but we do not love the poop they leave behind. Let POOP 911 Knoxville be your answer. With our specialty scheduling and billing software you are only charged for service you receive. No large monthly bills at the end of the month, and no long-term contracts. Call POOP 911 Knoxville today! Enjoy your yard more this summer without the hassle of picking up after your 4-legged family member.